Hello, learners! Greetings from Makerdemy. 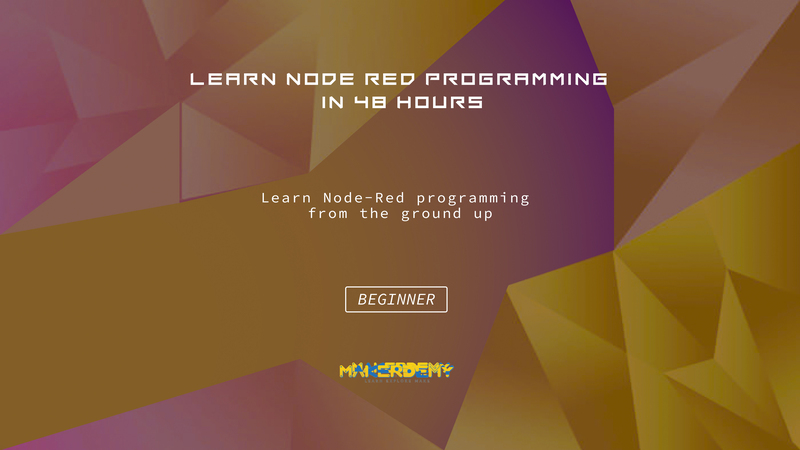 In this course, you will learn how to design and deploy flows on Node-RED Programming Platform. This course is for anyone who is interested in exploring Node-RED and IBM Bluemix services. This course is for anyone who is interested in building an IoT Project by availing the Bluemix services. This course is ideal for those who are interested in exploring the scope of Node-RED.The course does not require any prior knowledge of Node-RED and IBM Bluemix. Project 1: In this project, we will be learning JSON and using MQTT Protocol to communicate between services. Project 2: In this project, we will teach you to create a simple Twitter Bot and analyse tweets based on tone of language. Project 3: This project will involve face recognition and analysing by estimating age and detecting the gender of a person. Project 4: In this project, we will teach you to convert any text input into a speech. Project 5: In this project, we will teach you to translate a text from a source language to a target language using IBM Bluemix Language Translation services. Project 6: Here, we will be developing an application to help the visually impaired by converting text into an audio form.